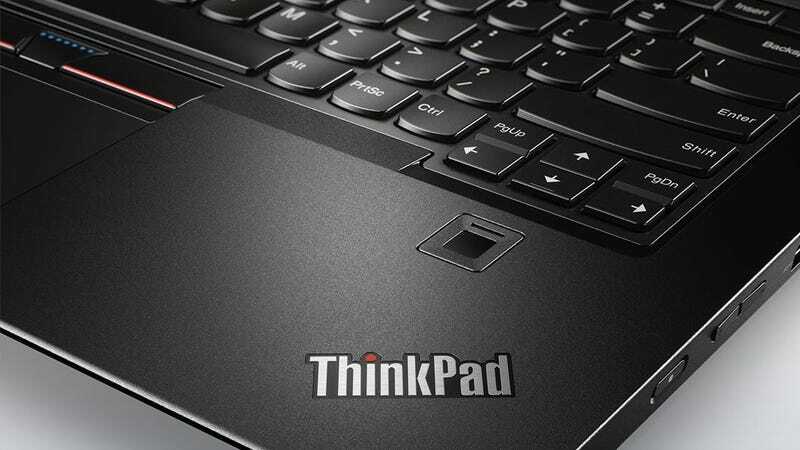 Earning a high severity level from Lenovo’s own security advisory, anyone currently using a select number of the company’s Thinkpad, ThinkStation, and Thinkcentre systems should know that there’s an important vulnerability that needs to be fixed. That’s because hidden within Lenovo’s Fingerprint Manager Pro software, there’s a flaw on machines running Windows 7, 8, and 8.1 that could potentially let a hacker log in to your computer using a hardcoded password, bypassing the fingerprint scanner, and even decrypt your current Windows credentials. Thankfully, this vulnerability was only exploitable to those with local access to the system, meaning that any attempts to bypass Lenovo’s fingerprint security had to be done in person, rather than online. And as of Thursday, January 25th, Lenovo has released an update (version number 8.01.87) that includes fixes for the various issues. For a full list of the effected machines, see the list below.